Without proper treatment the risk of rupturing a tendon becomes greater. A rupture is very painful and will most likely require surgical repair and a much longer recovery time. Through proper physical therapy, plenty of rest, ice, compression, and a customized home exercise program, further injury can be prevented and pain can be minimized. Tendonitis can be prevented by using proper form when performing repeated motions. Stretch breaks and strengthening exercises are also very simple and effective practices to prevent injury. 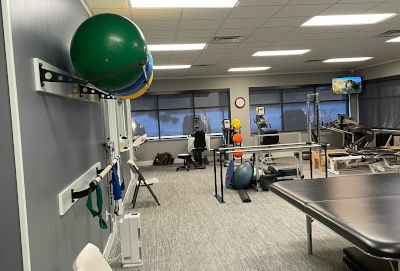 West Michigan Rehab + Pain Center offers a full-range of chronic pain treatment options at both Greater Grand Rapids office locations. We invite you to contact us and begin the healing journey. If you have any questions or would like additional information please submit a contact request or call us at 616-447-4090. To request a consult with Dr. Ramin Rahimi please submit a consultation request and we will contact you in the near future.